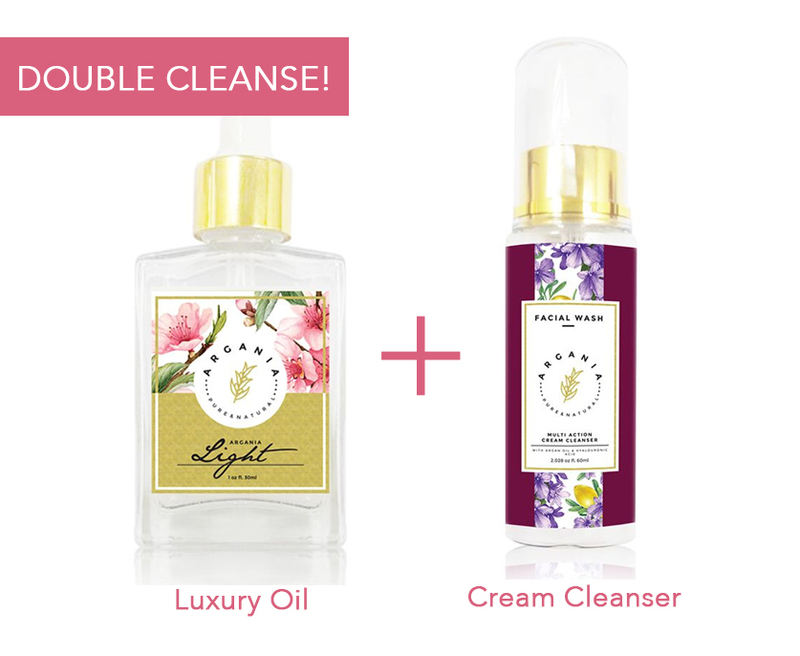 When in doubt, do the double cleansing routine! “Oil attracts oil, so this will help to remove makeup, sweat and any other oil that has accumulated on your skin,” - Dr. Lortscher. “Double cleansing is a method of cleansing your face twice: First, with an oil-based cleanser and again with a water-based cleanser. It can help remove stubborn, pore-clogging and acne-causing impurities that can remain on the skin even after washing your face once,” - board-certified dermatologist David Lortscher, M.D. Apply a few drops of face oil onto your skin and gently massage in circular motions for 30 seconds to 1 minute or until you can feel a warm sensation on your skin. Wash your face with lukewarm water. Do not worry if you skin feels oily at this stage, the next step will help rid the excess oil. After the oil is thoroughly rinsed off, apply cream cleanser to your face and massage with gentle upward circular motions for 30 seconds to 1 minute. Rinse with lukewarm or cool water. Take note! Tracy Evans, M.D., a California-based, board-certified dermatologist, suggests double cleansing only at night—when you actually have dirt and makeup to wash off—to make sure you’re not altering the natural balance of oils and microbes on your skin.